Sculptor Arlene Shechet sits down with host Will Corwin to discuss the wide range of her current exhibitions. Porcelain, No Simple Matter, on view through April 4, 2017, at The Frick Collection features Shechet's work created during a two-year-long residency at the Meissen porcelain factory placed amongst pieces from the Arnhold collection of Meissen. On a completely different note, the artist just had an exhibition of her multi-media work at the Sikkema Jenkins gallery. 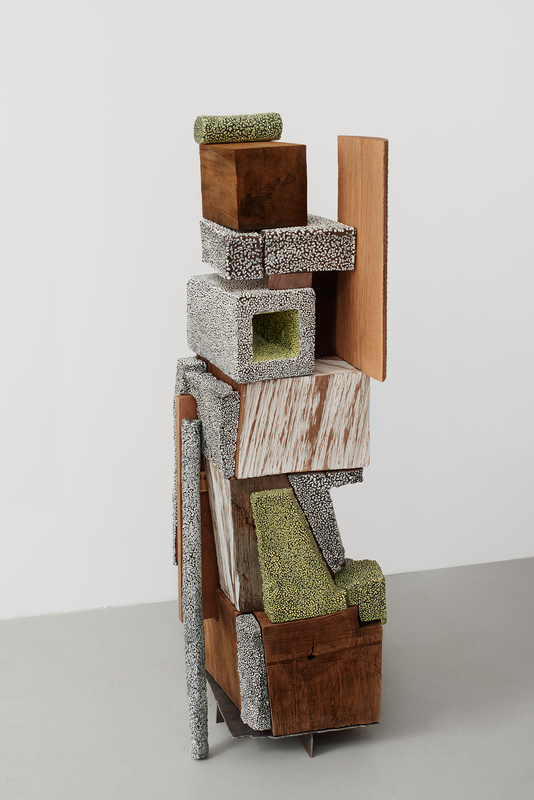 Turn Up the Bass was very literally multimedia in that it combined Shechet's signature porcelain sculpture with wood and stone among other materials, and questioned the idea of sculpture in space by playing with the idea of plinth and base versus sculpture. Shechet also has an exhibition on view at the Phillips Collection in Washington DC, "From Here on Now," through May 7, 2017.